The drop-off in new housing construction has been no friend to wood markets, and one of the hardest-hit species has been Eastern white pine. Used extensively for flooring, cabinetry and millwork, some dealers report sales are off considerably, while others say they have endured worse conditions. "Overall business is down around 30 percent from where we used to be," says Alan Zablonski of Berkshire Products Inc. in Sheffield, Mass. "That&apos;s across the board, but I&apos;d also say that is where pine seems to be. In fact, pine might be down a little more because it is tied into housing. A lot of what we sell is for flooring and sales are down because people aren&apos;t building houses. Once you get into the wider stuff, we do sell to some people who are building 2" thick rustic tabletops. But that is usually one piece at a time. With the flooring, sometimes they are doing the whole house." Eastern white pine (Pinus strobus) is also known as Northern white pine, Canadian pine, soft pine, cork pine, pumpkin pine or white pine. It grows primarily in the Northeast and Great Lake states and is the state tree of Maine and Michigan. The trees reach heights of more than 120&apos; with diameters in excess of 4&apos;. 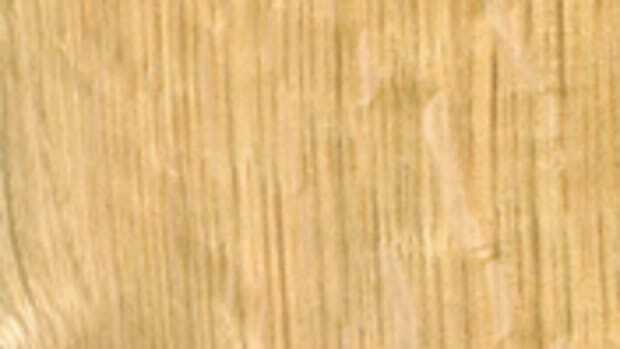 Unlike the yellow pines, Eastern white pine has a lighter color and its growth rings are not nearly as pronounced. "I guess most of the guys we sell to are probably cabinet and millwork guys," says Jerry Anton of O&apos;Shea Lumber, a wholesaler in Glen Rock, Pa. "We don&apos;t do too much in flooring. We sell the furniture grade, which a lot of the cabinet and furniture guys go with; we do some Select & Better, D, C & Better and some clear stuff. I would say the Select grade is our best seller; it is a fairly decent mover." 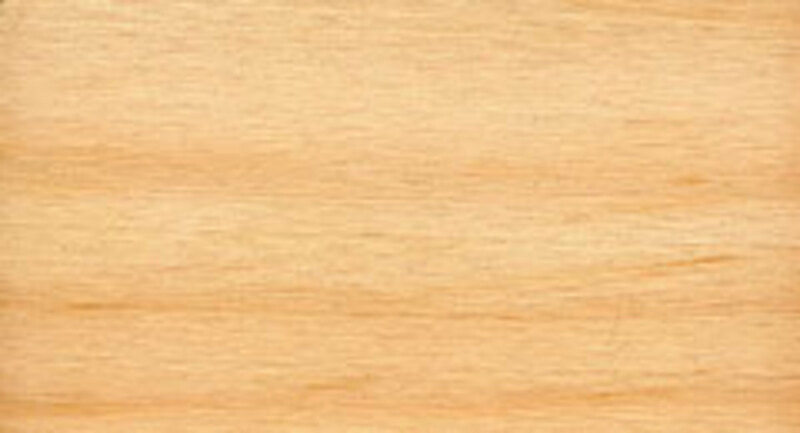 Eastern white pine is soft and light and has a specific gravity of .35. 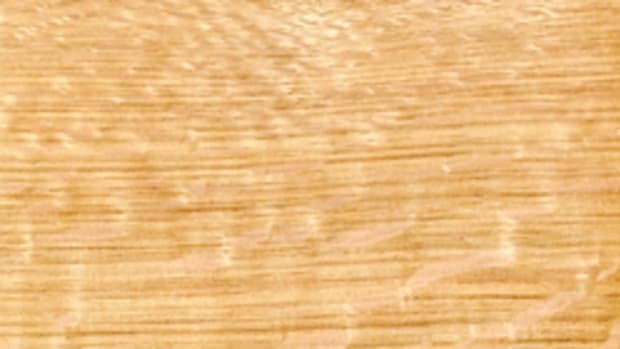 The wood is moderately strong with a straight grain and even texture. The wood is very easy to work with. 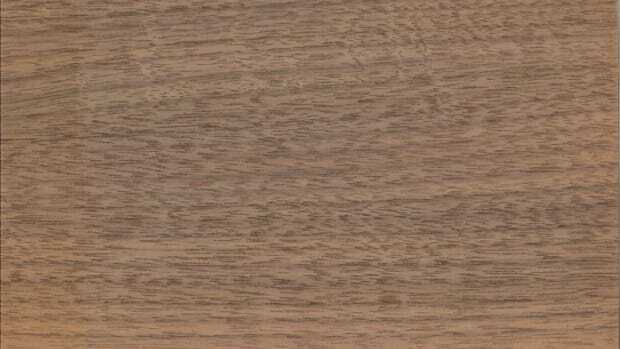 It is used for architectural millwork, furniture, cabinetry, interior trim, knotty pine paneling, sashes, coffins, floors, doors and plywood veneer. "We stock it, but don&apos;t sell a lot of it and maybe that is because it is a fairly common thing for most lumberyards to have," says Dave Harris of Parkerville Wood Products in Manchester, Conn. "We stock some clear pine, which is a little pricier. When we were setting up the business, we brought in some wide heirloom pine but it was expensive, around $5/bf. It was nice material and it was quite wide. I think we sell it more for lumber, people build stuff out of it or people use it for trim. For clear material, it could be somebody making a window or a door, even though it doesn&apos;t hold up like the old growth." Large furniture manufacturers use much of the harvested Eastern white pine. 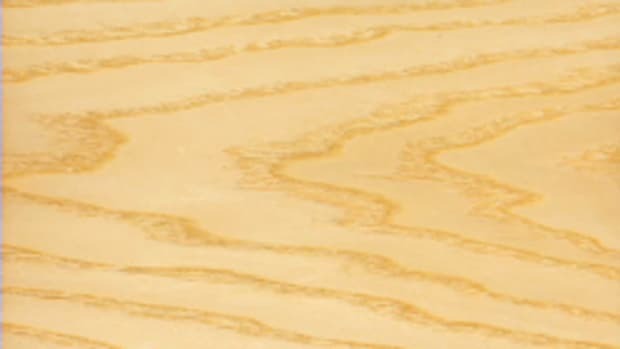 Furniture makers purchase the furniture grade of white pine, which is also known as the knotty grade (not red). The Northeastern Lumber Manufacturers Association (NeLMA) lists the furniture grades of Eastern white pine as No. 1A and No. 2A. The top grades of white pine are known as C Select and D Select. 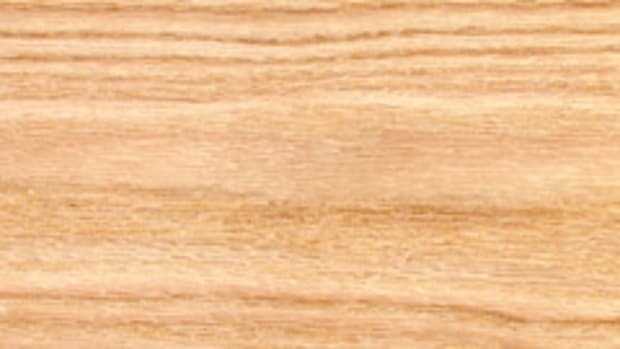 There are also four common grades of Eastern white pine - finish, premium, standard and industrial - that can be grouped together as Premium & Better, according to NeLMA, the rules-writing agency for Eastern white pine. "We do have some 4/4 furniture grade and it is inexpensive and probably goes out the door for probably $1.60 or $1.70/bf.," Harris says. "Sometimes I think we should get into more softwood. We do get calls for cedar or redwood and it is an area we should look into more closely - even pine shelving, bringing in some D4S [dressed four sides] because you can get it relatively inexpensive." "We sell everything from clear down to a knottier grade mostly for flooring," Zablonski says. "Although nothing is moving great in this economy, with white pine the market is basically flooring. That&apos;s where the volume is [the highest]; everything else is a specialty product at a low-volume type rate." The pine market is further complicated at the moment by two factors. Supplies are down because of the large number of mill closures. And since the trees primarily grow in the Northeast, weather conditions this time of year make it much more difficult for loggers to get the trees out of the woods. Prices are basically unchanged from a year ago and are based on quantities of 100 bf. In the Northeast, retail prices for kiln-dried 4/4 furniture-grade Eastern white pine range from $1.55/bf to $1.70/bf. 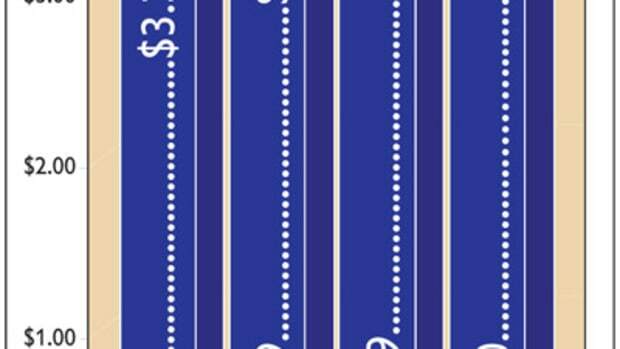 Prices for 4/4 D & Better are priced from $3.25/bf to $3.55/bf, surfaced on both sides. In the South, retail prices for kiln-dried 4/4 furniture-grade Eastern white pine range between $1.50/bf to $1.85/bf. 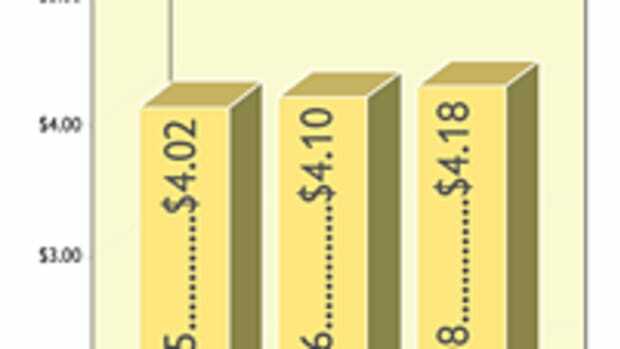 Prices for 4/4 D & Better are priced from $3.55/bf to $4.25/bf. Prices for C Select Eastern white pine varied widely depending on widths and thicknesses. Widths exceeding 24" and thicknesses up to 12/4 are available from some dealers.